As we know from evolutionary science, the human ability to believe in stories has made us the most successful species. Stories also play a crucial role in cultural development by providing structures and guidance for human behavior. And sometimes stories are simply a comfort or a beacon of hopeful inspiration. 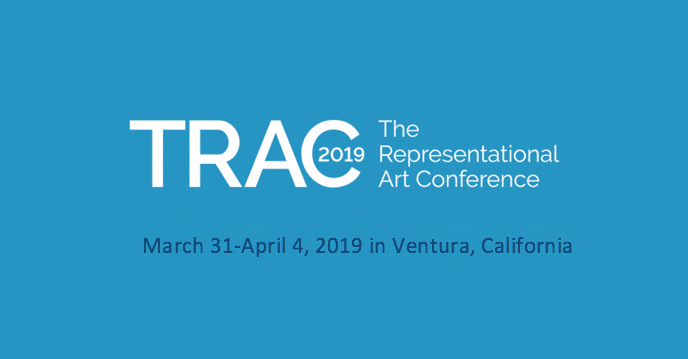 For representational painting and sculpture, stories have been a driving source of inspiration throughout time. Along these lines, several contemporary figurative painters have recommended Stephen Greenblatt’s book the Swerve. Greenblatt writes beautifully about a book hunter named Poggio Bracciolini who discovers a copy of Lucretius’s On the Nature of Things in a remote monastic library. This revived text brought the lost philosophy of Epicureanism to the Renaissance, influencing his contemporaries and world culture ever after. The rising tide of intellectual literacy resulted in certain texts from antiquity gaining wide distribution after the emergence of the printing press. One such text was Pliny the Elder’s 37 book series, Natural Histories. The books are wide in scope, but book XXXV largely focuses on anecdotes from the lives of the great painters of Greek antiquity. These texts, in addition to painted imitations excavated from the ashes of Vesuvius, are the only legacy that remains after the iconoclastic fires burned the great libraries of Alexandria. From an oral tradition, Pliny recorded the fable-like accounts of Apelles, Zeuxis, Parrhasius and many others. Pliny’s description of competitions and revered painting qualities became the major interest to Titian, Velazquez, and in particular Rembrandt and his circle. These texts are largely responsible for both Titian and Rembrandt’s transition from the tight highly rendered technique to the looser more atmospheric brushwork of late years. In many ways, Rembrandt is perhaps Titian’s greatest pupil, even though he was born 30 years after Titian’s death. Rembrandt was floored when he saw paintings by Titian that he had made after reading Pliny’s accounts of ancient painters. 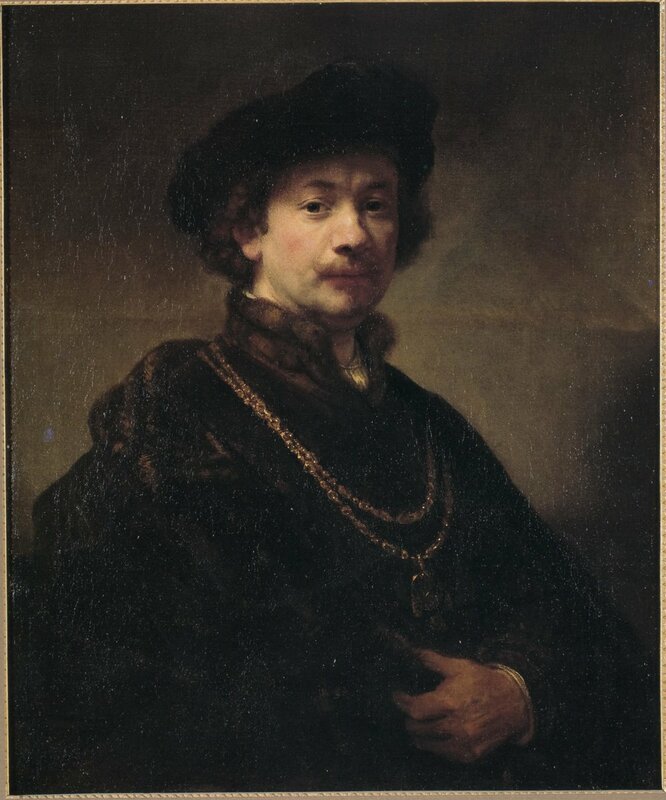 This experience along with his own exploration of Pliny, influenced Rembrandt to transition from a style typical of his era to the paintings we immediately recognize as Rembrandt. This enthusiasm for the ancient masters was contagious and widespread in the 17th century. One of the best windows into this time was written by Rembrandt’s pupil van Hoogstraten, who penned the so-called Inleyding tot de Houge Schoole der Schilderkonst, which clearly illustrates the “classical fever” of the time. 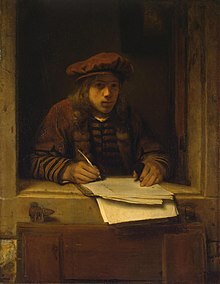 Pliny’s stories reveal that painting, although considered a craft in Baroque times, “was a business as good as, if not better than any other branch of applied knowledge.” Pliny’s stories show that painting was an esteemed occupation and that painters came into the circles of great figures. Pliny’s writing not only lifted the morale of the painter’s pursuit, but it also seems to have inspired the invention of Flemish equivalents to ancient painting terminology. In a famous passage, van Hoogstraten recounts the competition held between Porcellis, Van Goyen, Kripbergen. The hierarchies of qualities he used to judge his contemporaries are nearly identical to those in Natural Histories. In other words, Hoogstraten has taken concepts from Pliny and applied them to his circle of friends. Whether or not these stories are accurate is not the point – Pliny’s text has provided a structure for comparing the talents of different individuals. Natural Histories also appears to be the source of favored qualities and technical approaches to painting used by Rembrandt and his circle – in particular, roughness, dark glazes, and the four-color palette. Pliny advocates the appeal of unfinished works, stating that they are often more admired than those that are finished because in them the artists’ actual thoughts are left visible. Rembrandt and his circle interpreted this to mean that the paintings were executed loosely with large brushes and with elements of drawing with paint still visible. 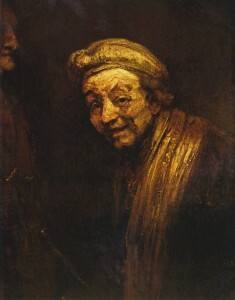 This view is exemplified in Rembrandt’s roughest self-portrait as Zeuxis Laughing (1662). Many other characteristics found in Rembrandt’s late works can be sourced directly to Pliny’s accounts of Apelles, who has been revered throughout history as the “Prince of Painters.” Pliny suggests that there never had been, nor ever would be as great a painter. With no examples of his work remaining, Apelles is given a godlike status and the descriptions of his painterly approaches read like religious doctrine, and one could consider its followers the Cult of Apelles. Rembrandt fancied himself as the Apelles of his time. 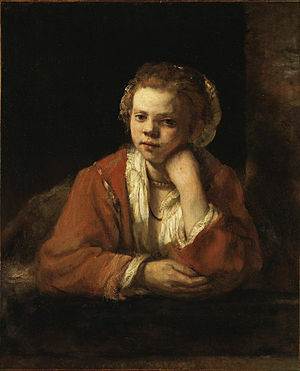 Pliny’s description of Apelles’ use of a subtle and limited palette made of just white, black, and two colors – red and yellow – is easily seen in Rembrandt’s’ late approach and that of others who have followed (Velazquez, Zorn, and Nerdrum to name a few). Unfortunately, Rembrandt’s obsession with antiquity, especially in his late paintings, is made less obvious to posterity through the continued use of “nicknames” given to these painting by others. In my next essay, “The Lost Motifs of Rembrandt’s Late Pictures,” I will discuss how Pliny’s Natural Histories directly inspired the motifs of two of my favorite Rembrandt paintings housed in New York City at the Met and the Frick.